Tonight I made the most wonderful snack! 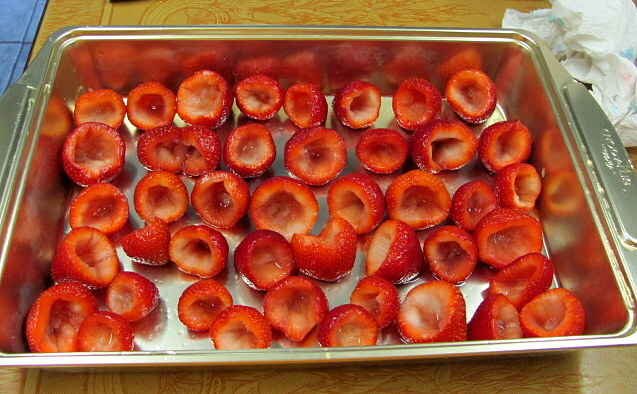 Cheesecake-stuffed Strawberries. How can you go wrong with that? 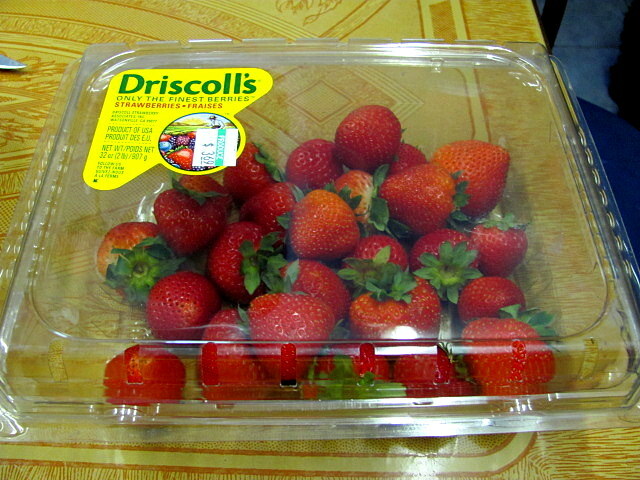 The recipe came from The Sweets Life . I’ll print the recipe as is, but I did mine a little differently. First the recipe. 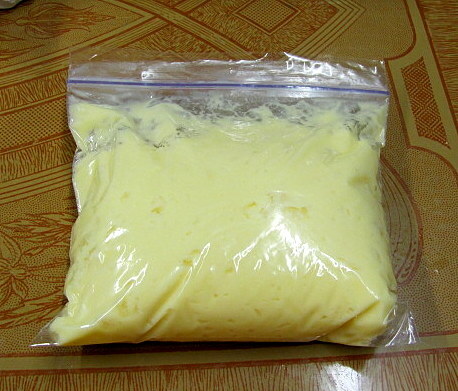 Then I made up the cheesecake mixture and put it in a ziploc bag and snipped off the corner to use like a cake bag. 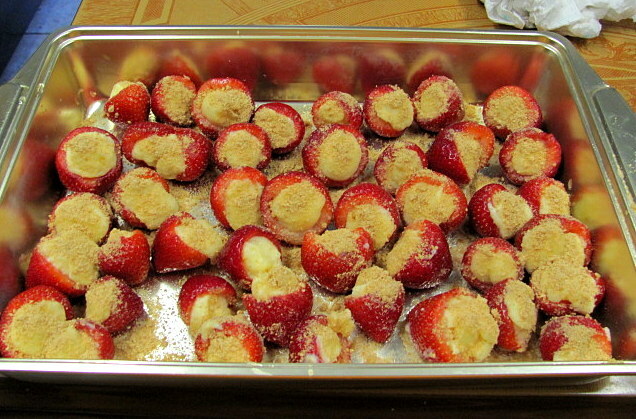 Here they are all filled and topped with a sprinkle of the graham cracker crust mix. 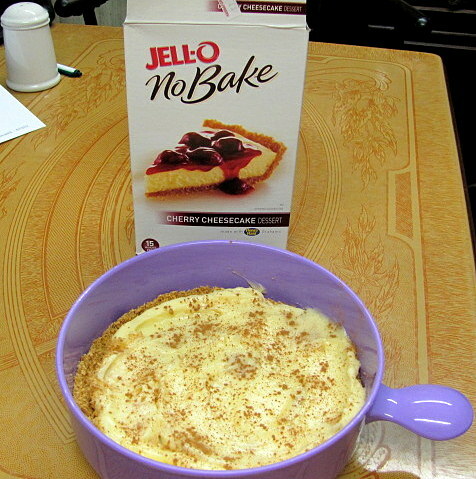 I had leftover cheesecake and crust mix so I added the butter to the crust mix and patted it into a bowl. I squeezed in the remaining cheesecake mix and topped it with cinnamon.